Industry Night & Movies with Mike! 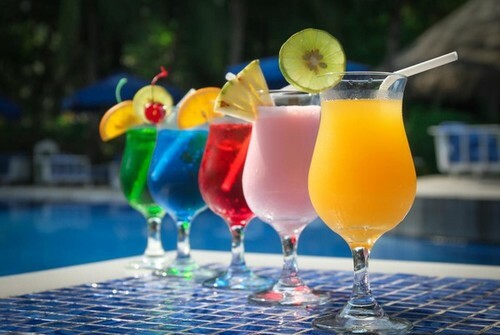 Come kickback on Sundays with us here at The Tavern downtown--we are ready to get rowdy with all of our industry peeps and kick back around 10pm for the movie of the night with everyones favorite bartender MIKE! 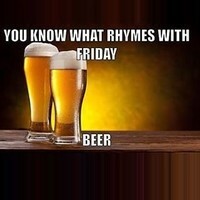 Or as some of us know him--MICROWAVE MIKE LOL Drink specials all night long:) cheers! Happy Hour is from 4pm to 7pm and includes a $6 appetizer menu as well as $6 specialty drinks, $6 glasses of wine and $4 select drafts! Coming with a group? Call or Email Liz to make your reservation. 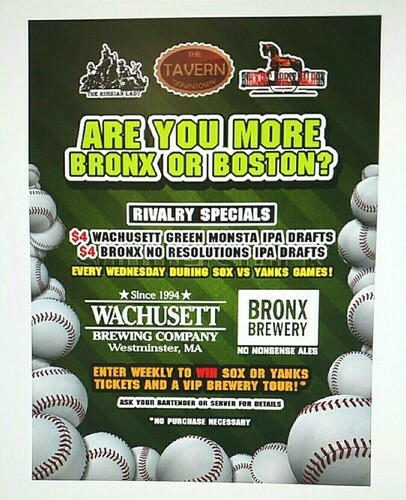 Are you more BRONX or BOSTON?? 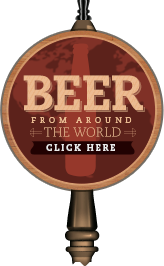 Catch all the MLB action at The Tavern Downtown! 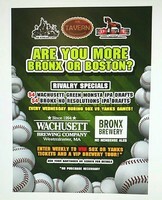 $4 Wachusett Green Monsta IPA drafts and $4 Bronx no resolutions IPA drafts every Wednesday during Sox vs Yanks games. Finally the weekend is here so come and celebrate the end of the week and try any of our 39 Beers on draft. 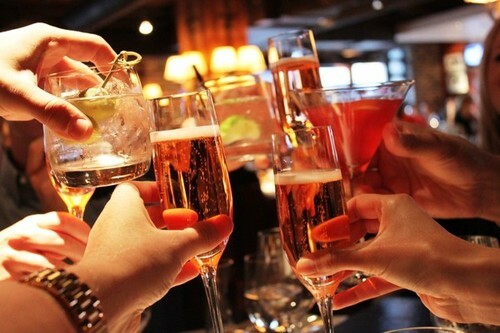 Come and enjoy lunch or dinner with us, have a few drinks and start the night right. We have some of the best food and service in the downtown area, plus when you have dinner with us you get free admission to the hottest club downtown The Russian Lady. Going to a Yard Goats game or the science center? 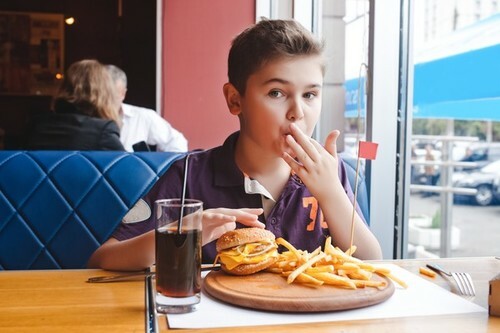 Be sure to stop in for lunch--Get a free kids meal with the purchase of an adult entree all summer long. 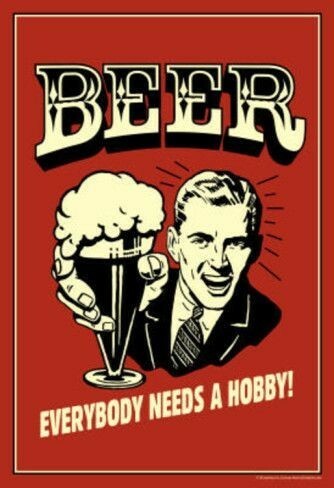 Everybody needs a hobby, so if your hobby is drinking beer come to The Tavern Downtown where we have 39 BEERS ON DRAFT!!! !